Why might my IVA be rejected? When you apply for an IVA, your Insolvency Practitioner (IP) drafts a proposal detailing your offer of repayment and why you are offering your creditors this amount. Your creditors are then invited to vote either for or against your proposal in a Meeting of Creditors. 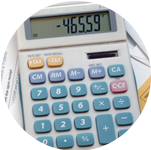 In the voting process, your propsal must be accepted by more than 75% (by debt value) of your creditors. 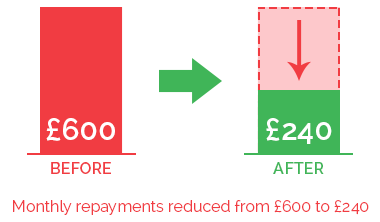 If your IVA proposal is accepted then you can begin your IVA repayments as arranged. In some cases, the creditors involved might not agree to the terms of your IVA proposal, which results in your IVA being rejected. The most common cause of rejection of an IVA proposal is when your creditors do not believe that the proposed repayment plan is enough to meet individual creditor guidelines. What happens if my IVA is rejected? We do not put forward an IVA unless we believe it will be a successful one for all parties involved. If, for any reason your IVA propsal is rejected, it may be possible for your IP to re-negotiate the proposal with your creditors, providing you are in a position to offer a revised IVA payment and agree to the revised terms. If you cannot agree to a revised IVA propsal, then you will need to look at other ways to addressing your debt problems. We can discuss other options available to you. How can I avoid my IVA being Rejected? Make sure you are apply for an IVA with the help of a trusted IVA Provider. Any respectable IVA company will only put through a proposal on your behalf if it adheres to recommended guidelines and is fair for both you and your creditors. This will increase your chances of having it approved successfully. An Insolvency Practitioner should not recommend an IVA to you unless it is your most suitable option for dealing with your debt. 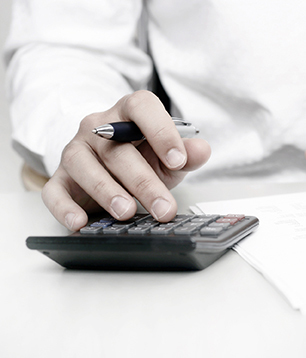 Do not pay any upfront fees for your IVA, or for your IVA proposal. In the event that it might fail, you will lose any upfront payments you have made. If your IVA has been rejected at a meeting of creditors it may be possible to re-propose an IVA if you are in a position to offer an alternative level of debt repayment. If you feel that this is the case please contact us online or on 0800 043 3328 to discuss your options. A debt management plan is an informal arrangement with your creditors whereby you agree to pay back your debt at a level that is affordable for you. The plan will last as long as it takes you to pay back your debt in full but at a manageable level for your finances. You will no longer need to worry about dealing with your creditors and we can try to negotiate that interest is frozen but this cannot be guaranteed as it is not a legally binding arrangement. * For further information please see our debt management section. With Debt Consolidation, you can consolidate your debt into one monthly payment by taking out a personal or secured loan. This loan will effectively pay off your current debt in full and your debt will be consolidated into a monthly payment in the form of a loan. Bankruptcy is a legal status often considered when you are not in a position to pay your debts as they fall due. Bankruptcy can either be voluntary, whereby you petition for your own bankruptcy and will cost approximately £500 or involuntary, whereby any creditor you owe £750 an petition for your bankruptcy. * For further information please see our Bankruptcy section. A Debt Relief Order or DRO is a formal solution designed for people who are unable to pay their debts. It is sometimes considered as a mini form of Bankruptcy. In order to be considered for DRO your debts must be no higher than £20,000, you must have little or no assets and a surplus income of no more than £50 per month. For more information on Debt Relief Orders click here. Should you wish to discuss your options contact us online or telephone 0800 043 3328 for free independent advice. Do you need help with your debt? To find out if McCambridge Duffy can help you regain control over your finances, or if you want to talk about an IVA that has been rejected, simply get in touch with one of our advisors. Fill in the form on this page or call 0800 043 3328.